Allyson is a Real Housewives-watching, skincare-obsessed mama and makeup artist. After studying Broadcast Journalism at MTSU for a few years, she found her true calling in the beauty industry. She graduated from the aesthetics program at Queen City College in Clarksville in 2015 and began freelancing that same year. It’s been an incredible journey so far! She strives to be a goal-oriented role model for her two kiddos, Emerson and Oliver. Allyson prides herself on offering a luxury service that leaves her clients feeling radiant and confident. As her client, you’ll feel comfortable and at ease, like old friends - but also know that you’ll be taken care of in the professional manner you expect. She’s very prompt, sanitary, and fast to respond when you have a question. She provides services to all of the Clarksville area but also travels quite frequently. She has even traveled across the U.S. for clients. 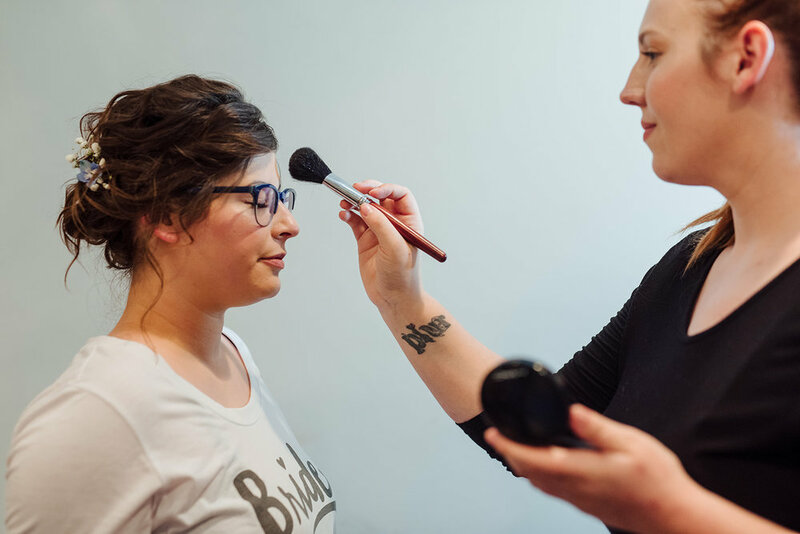 Let Allyson create your perfect makeup look. Email allysonroemua@gmail.com to discuss your makeup needs.